Lydia writes fiction and nonfiction stories, essays, and memoir. She will publish Ways to Leave: A Memoir with She Writes Press in 2020. She has had stories published in the Threepenny Review, The American Literary Review, Nimrod International Journal, Brain,Child and anthologies. 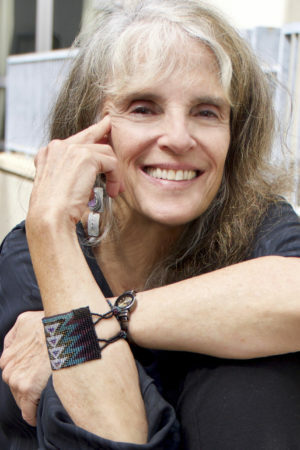 She has been a finalist for fiction prizes in The Iowa Review, Glimmer Train, New Letters, The Journal, Black Warrior Review, Snake Nation Press, the Kore Press, American Literary Review where she was Runner Up for their Fiction Prize, and in the Nimrod International Journal where she has twice received Honorable Mentions. Kann was an art and writing resident at the Cité Internationale des Arts in Paris from July,2017 through June,2018. She attended a writing residency at La Napoule in France in 2014, attended the Bread Loaf Conference in 2012, received scholarships at the Norman Mailer Writers Colony 2010-2012, was a 2012 writing resident at CAMAC in France, a 2005 writing resident at the Djerassi Artist Colony in California, and a 2008 writing resident at the Julia and David White Artist Colony in Costa Rica. She was a presenter at the 2008 Write Angles Conference in MA, a 2007 contributor at the Sewanee Writers’ Conference and has attended and read at numerous other writing workshops including Stonecoast Writers’ Conference, workshops with Alison Lurie, Amy Bloom, Frederick Reiken, and Grace Paley. Hannah Tinti, Judge for the American Literary Review’s 2012 Fiction Contest, writes of Lydia’s runner-up story: The language is what stood out the most to me in this piece–there were so many beautiful sentences–and the way the author jumped around in time, to flash into different memories… worked very well to capture the narrator’s emotional state and felt very authentic and true. Nina Schuyler reviews Lydia’s story, The Arrival, which earned honorable mention in Nimrod’s Literary Awards: (The story) makes an art form out of the style technique called ellipsis.